Liverpool defender Martin Skrtel has lost his appeal against a violent conduct charge and will now serve a three-match ban with immediate effect, the FA have confirmed. 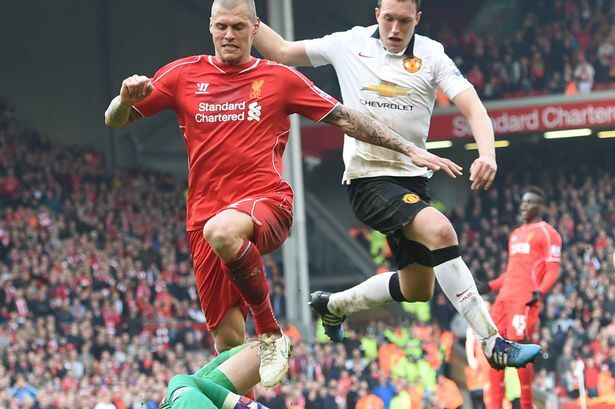 Skrtel was cited using retrospective action by the FA after appearing to stamp on Manchester United goalkeeper David De Gea during the closing stages of Liverpool’s 2-1 defeat on Sunday afternoon. The Slovakian centre-back denied the contact with De Gea was intentional and appealed the decision on Tuesday afternoon. However, the Football Association have confirmed that an Independent Regulatory Commission has upheld the charge meaning Skrtel’s three-match ban stands. Liverpool’s Martin Skrtel will serve a three match suspension with immediate effect after a charge of violent conduct against him was found proven. The defender had denied the charge which related to an on-field incident involving Manchester United’s David de Gea in the 95th minute of Sunday’s game which was not seen by the match officials but caught on video. However, an Independent Regulatory Commission hearing today found the charge proven. Skrtel’s ban will come into immediate effect meaning he’ll miss Liverpool’s crucial clash with Arsenal at the Emirates after the international break next weekend. The Merseysiders travel to North London sitting five points behind fourth-placed Manchester United and six adrift of the Gunners so they are in desperate need of a win to get them back in the mix for Champions League qualification, and the loss of Skrtel will be a huge blow. The defender will also miss the subsequent FA Cup replay against Blackburn Rovers and the league game against Newcastle the following weekend. Dejan Lovren is favourite to step in for Skrtel at the back but he will first need to overcome an abdominal injury that’s ruled him out of duty for Croatia this week.